This series products feature box type structure with scroll compressor compressor , that is compact and pleasant looking , applicable to cold display cases , cold storage rooms , ice producers etc . 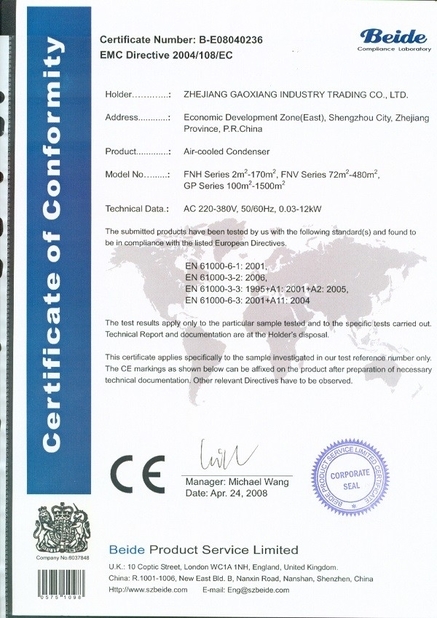 The applicable temperature ranges are : 0ºC ~ - 10ºC and - 15 ºC ~ - 18 ºC . They can be used in hotels , restaurants , medicines , agricultural , chemicals industries all other place where cold storage is needed . 3 . 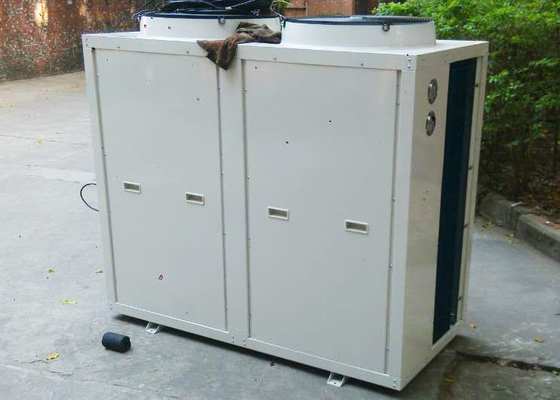 Air cooled condensing units with low noise and high efficient external rotor fan motor . 5 . 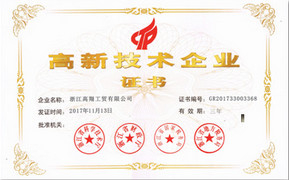 With high quality China made or imported components . cooling , ice-making , freezing , etc . Standard configuration of units : compressor , condenser , liqid receiver , pressure controller , pressure gauge , filter , solenoid valve and wiring box , etc .